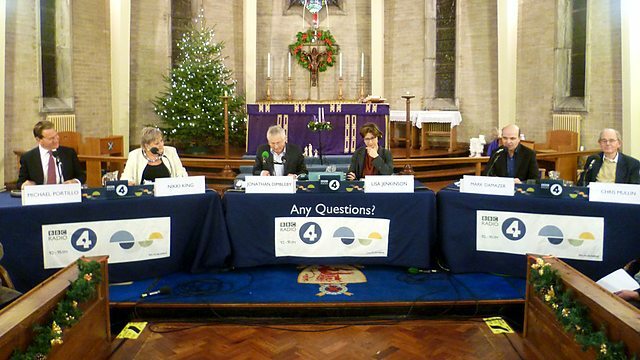 Something interesting about Any Questions question on Radio 4 today about the muslim preacher Anjem Choudary; paraphrase, ‘should someone who represents small extreme view be given airtime?’ (UK link here, overall show link here). The debate was interesting for the thing it lacked, IMHO. He was given an interview on the popular Radio 4 morning news and discussion show a few days previously. The wisdom of this was discussed. Many commentators talked in the deliberative space (there are news reports subsequent in a similar vein; Telegraph, Evening Standard). On the radio the panel talked of Choudary’s views, his positioning, in some cases eloquently calling-back to similar scenarios and doing a read-across to today (particularly Portillo and his view then-and-now of silencing IRA spokespeople). But no one talked of the reflexive-automatic comprehension that comes unavoidably with any presentation of opinion. This is important to consider. A view presented without placing it in context of the total range of views is likely to be over- or under-weighted. This itself may not be of consequence, but why not try to attenuate error where possible? Mindspace is the well-known report and behavioural mnemonic written by The Institute for Government, LSE, and for the UK Gov back in 2010 fathered by Dolan (LSE) and Halpern (UK Gov/IfG). In it is a description of employing the norm condition in schools. A programme that brought back to school teenaged mums in order to help the non-parenting teenagers understand the reality of having a child so young in order that they may make considered and principled decisions about contraception back-fired tremendously by normalising and over-weighting the perception of the prevalence of teenaged parenthood. As is often the case with young people, they were articulate and impressive, and made concrete the consequences of a choice. And the presentation of a more representative sample delivered the norm that most people who leave school do not become teenage parents. Similarly, Choudary’s views are delivered as real for him, but not representative of a norm. Max Boykoff – of whom I have written before – saw similar effects when observing a decade of newspaper reports in the US and UK of the anthropomorphic climate science debate where the intra-arcticle structure pitted ‘for’ and ‘against’ opinions generating the automatic-reflexive inter-article impression that the science was ~50:50 in favour despite the science being ~90:10 in favour. The presentation of the whole range of option/opinion presents an automatic-reflexive ‘below the water line’ impression that is both a more accurate representation of share-of-voice and recognised. It is not a choice, nor playing at the margins. The lack of understanding without the spread really screws our understanding. I suggest the challenge isn’t should he be given a voice, but that he should be given a voice in a representative ratio. The leads to another question; should that be inter-interview, inter-programme, or inter-broadcaster? Or more? That needs some more research. Roger, I think that I understand your poistion to be (and I am clearly capable of unintentionally misunderstanding) that an understanding of climate science should be considered when formulating climate policy, but that an understanding of climate science is not required to formulate climate policy. Is this a fair statement?There are two ways that I can understand this poistion, but neither are an especially generous (or perhaps may even be an inaccurate) view of your poistion:1) Certain climate policies are capable of being justified independently of considerations that may arise from an understanding of climate science. One should have an understanding of climate science in order to determine whether they provide additional persuasive reasons to adopt such policies; however, such reasons are unnecessary, because such policies are sufficiently justified by independent considerations. 2) One should have an understanding of climate science in order to help assess the costs and benefits of proposed climate policies. However, because climate science will be but one of many considerations that will enter into the political conversation, it is but a minor actor and therefore may be safely disregarded for all practical purposes.My concern is that while both interpretations are consistent with the advocacy of a subset of policies that can be independently justified and/or enjoy sufficient public support to be enacted, they do not help one who has not already pre-selected such policies and wants to assess the entire universe of proposed policies.Let me provide an example.Suppose that we have 2 possible sources of power plant risks to human health: those resulting from emissions which pose risks that are local in nature ( Local Pollutants ), and those resulting from emissions which are not local in nature ( Global Pollutants ). And suppose, for the sake of argument, that there are 3 types of proposed policies, only one of which can be implemented:i) Local: Policies which are very effective at reducing risks posed by Local Pollutants, but are not very effective at reducing risks posed by Global Pollutants; these can be justified by reasons for reducing the former risks but not reasons for managing the latter risks. ii) Local and Global: Policies which are only somewhat effective at reducing Local Pollutants and are only somewhat effective at reducing Global Pollutants; these can be justified by reasons for managing either type of risk. iii) Global: Policies which are very effective at reducing Global Pollutants but are not at all effective at reducing Local Pollutants; these can only be justified by reasons for managing the former risks but not reasons for managing the latter risks. If, when considering risks posed by Global Pollutants, we are limited to those policies which are independently justified by effectiveness at managing the risk of Local Pollutants (or to policies which enjoy political support for managing the risk of Local Pollutants), we are limited to consideration of Type II policies.But, clearly, such a methodology pre-judges the outcome, and ignores two-thirds of possible solutions. A superior method of risk assessment would be to assess Type I policies in light of a scientific understanding of Local Pollutants, Type III policies in light of a scientific understanding of Global Pollutants, and Type II policies in light of a scientific understanding of both types of pollutants. Moreover and as a final point – this is not to say that, given such a risk assessment, scientific understanding will dictate the choice between Types I, II, and III. One can accept the proposition that such a choice will be a function of, among other things, value judgments. But restricting policy consideration to Type II policies is itself a type of value judgment: it is a value-laden choice to declare scientific understanding of Global Pollutants as unnecessary, thereby privileging Type II policies which can be independently justified.